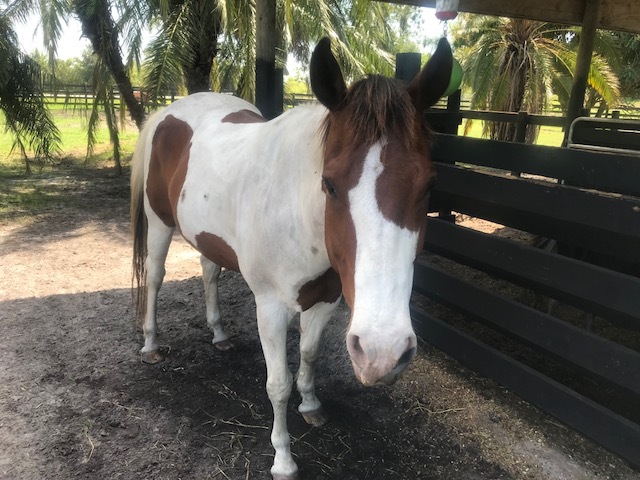 The first rescue at Apache Rose, Zippy was surrendered by her former owner in June of 2017. She was under weight at intake, but was brought to a healthy weight and adopted to her forever home by November of 2017. Star was rescued by Apache Rose in June of 2017. She is a former race horse taken off of the track by a bone spur. Her last race was in April of 2017. With minimum exercise and plenty of rest, she was ready for adoption by September of 2017. She now has a new home where she will pursue 4H with her new person. Angela was a race horse who bowed a tendon and was taken off the track. She was rescued by Apache Rose in June of 2017 and was on stall rest until August of 2017. Angela's recovery was setback by an abscess in both front feet in October. Her healing has required constant care, treatment and monitoring. Her feet are improving as is her overall health. 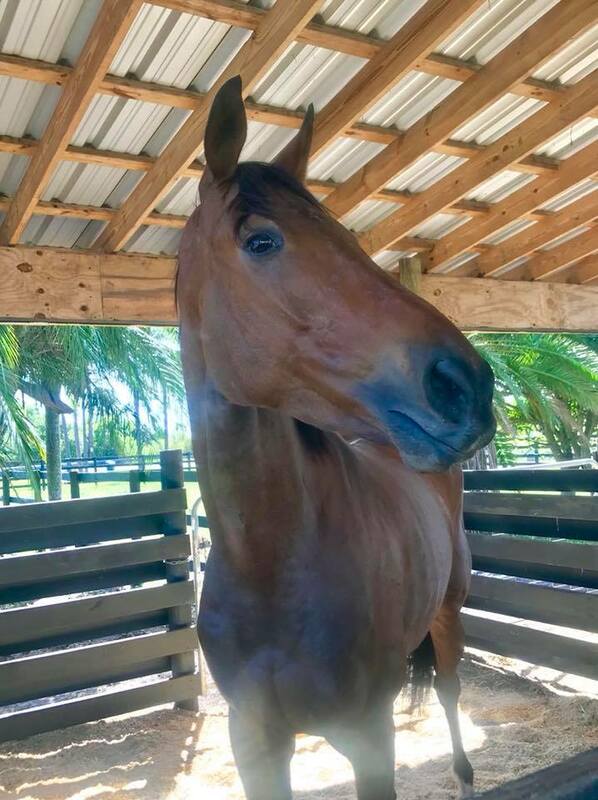 Zach was surrendered to Apache Rose in January of 2018 after pulling a muscle on the track. Zach will require rest for a while, but will be re-evaluated in March and hopefully ready for adoption at that time. Ana is the 5th thoroughbred surrendered to Apache Rose after suffering an injury on the track. Ana has a sprained tendon in her left front leg. She was taken in on February 23rd, 2018. She will be on stall rest with light turnout until she is fully recovered. 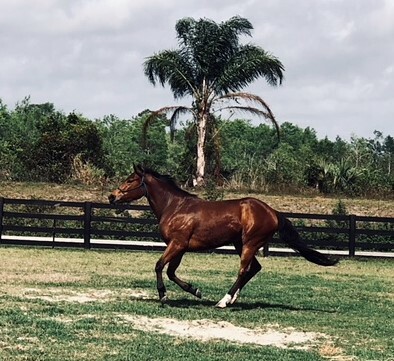 "Breeze" is a OTTB that was surrendered after a minor liagment sprain. She never made it to race and was never tattooed. Breeze has a lot of power! She was taken in on April 13th and will be resting for a little while and will be ready to get back to work soon. Cash came to Apache Rose after his owner passed away along with Ben & Jerry and 2 donkeys. He is an 11 year old gelding. He was once a Track Pony but sat for two years. He is a very sweet boy who is very in your pocket. He will start his retraining soon. Ben (paint) & Jerry came to us after thier owner passed away along with Cash and 2 donkeys. They are both 8 years old. Ben came with really bad sharp teeth that was making his food get stuck on the side of his mouth. He also came with pretty bad Florida sores that will take some time to heal. Zoey came to us as an owner surrender. Very sweet pony looking for her forever home. She does need some weight to be put back on her. Sassy came from a very sad situation along with Tonto and Spirit. We are so happy to be able to have her with us until she finds a forever home. She loves people and kids. She does have COPD so it is best for her to be a companion horse.